Step 1. Take a straight pin and punch a hole in the bottom of the egg. Then wiggle around to make a little bigger and use the head end of the pin make a larger hole. Step 2. On the top of the egg make a tiny hole with the straight pin. Step 3. Blow into the small hole, holding the egg over a bowl to catch the insides. You do need to blow quite hard, but my older daughter was able to do it. Step 4. Wash out the egg well with water and then blow out excess water and let dry. Now the better you are at this, the smaller your holes should be. I wasn't too good so my bottom holes were bigger than they probably should be. I plan to tie/glue some ribbon around the egg for hanging and it can cover up the hole. We will need to find a few more uses for eggs in the next couple of days and then on Thursday plan to color them using a basic Egg Dying kit. We may be adventurous and try some other decorating techniques too! I am reposting my Easter Tree and directions for egg-blowing from last year. We just put up the tree for this season and I always enjoy how colorful it is. We have had a few broken eggs over the past few days since Nora enjoys rearranging, but that just gives us an excuse to make more! I think we will do egg blowing and dying next week over spring break! It has been a bit of a busy week schedule wise and we haven't done as many arts and crafts this week. It seems to go in spurts. But here is what the girls and I put together today. Our Easter Egg Tree. 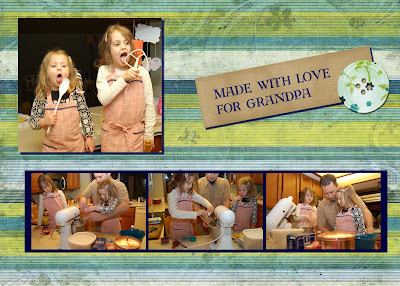 The girls made these eggs with Grandma P last Easter in Montana and amazingly they survived until this year unscathed. Of course, the girls wanted to put all decorations on one or two branches while I was trying to evenly space things out. I think we will blow out some more eggs over the next few days and dye some next week to add to the tree. 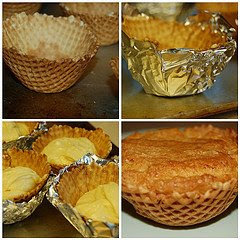 Take each waffle cup and line with tinfoil. To be honest, I somewhat question if this step is necessary. I tried one without the tinfoil and it turned out fine. The tinfoil process if frustrating for the kids and often results in broken cups. So if you want to follow the exact directions, cover with tinfoil. If you are a rebel, then skip it!! Fill the cups with about 1/2 cup of cake batter and bake. My directions said about 25 minutes but doing the toothpick test took alot longer in my oven, probably closer to 35 minutes. Now the fun part - the decorating!!! For each child I put together a plate with the decorating items for them to choose from. I found over half the group did not want coconut and 2 even didn't like jelly beans! Frost and add the colored coconut (just put in a ziploc bag with a few drops of food coloring and shake) on top. Then add jelly bean easter eggs and poke the licorice on the sides for the handle. Voila, Easter Basket Cupcake!! The kids were more interested in rearranging their decorations than eating and spent 15-20 minutes at the table playing and having fun conversations. This is the MOST adorable activity every. I am still waiting to hear on my job prospects but you better believe that I will be doing this project if and when I get a preschool job! Nora's class visited the fire-station last week and then made their own firetrucks back at school. Complete with seatbelt, door, window, windshield wiper, license plate, moving steering wheel, ladder..... It was the cutest thing to see the whole class sitting in their trucks while the fabulous Mrs. Brown read a firefighter story and then they all sang the "Hurry Hurry Firetruck" song. Wish I had video of that! The daffodils survived and opened up for the first day of spring! The girls enjoyed starting out their day with Shamrock Smoothies! Can't believe that I have a job interview today! Even the thought of starting a "real job" after 7 years of primarily stay-at-home mom is a bit overwhelming. I am trying to go into it with an open mind that "what ever happens is meant to be" but that isn't really my style!! Maybe the luck of the Irish will be with me today and it will all work out perfectly!! Fingers crossed. I, of course, had to dive in right away and get started on the long-awaited project. More about that in a later post. So I started organizing my supplies and Madison immediately decided to get out her own scrapbook and supplies. I have to admit that I got very little accomplished during the next hour besides running around printing photos for Madison, helping her with other supplies and keeping Nora occupied but it still was a wonderful hour where Madison was participating with me in my favorite hobby. I can only imagine how much easier it will get in the upcoming years for us to do this together. I still have my scrapbooks that I did starting when I was in third grade (clippings from the Terry Tribune, bad photos from my Kodak disc camera and all sorts of crazy things!). I look forward to Madison's creations. And the sweetest thing was before I took any photos of this activity Madison ran to find her camera and said that she was going to take pictures of us scrapbooking together to make a scrapbooking page about it!!! It seems she was reading my mind! Here are my photos that will replace the box photo as my P365 photo of the day. As important as that box was to me, it means very little compared to the hour I spent with Madison creating and chatting. I just noticed in this photo that Madison still has her reading book in her lap, even while she was working on her project!! She is such a book-worm I start to wonder if I have to limit her reading. It truely is out of control some days! One of Madison's finished pages. A helpful hint to any scrapping moms out there who plan to scrap with their kiddos - YOU MUST GIVE UP CONTROL. I find myself constantly wanting to help with layout, supplies, coordinating but then remember this is MADISON'S book and not mine and so I zip my lips and enjoy!! To get our mind off this cold weather and get good spring thoughts into our heads we visited the Butterfly Garden at Pacific Science Center on Friday when Grandma Margie was in town. I would have happily sat in that room for HOURS. The sun shining in the huge windows, the warm humidity and all the beautiful flowers and butterflies to see. Summer can't get here fast enough!! The girls are looking forward to it being warm enough for them to run through the fountain instead of just admiring it from afar. It is getting just a bit crazy with the amount of snowy days we have had this year. I usually love it. The look of snow covered trees it so peaceful to me and a late-start to school is always a welcomed reprieve. I also find having an excuse to stay home is always nice in our crazy and over-scheduled lives. Unfortunately, yesterday was NOT one of those peaceful snow days. For some reason, school was starting on time and we didn't make it to the bus stop due to tired girls from the time change. (I am included in that tired girl category!) So I had to drive Madison to school right when the snow was at its worst and I got stuck driving up the big hill into our neighborhood coming home and ended up with the mini-van in the ditch. AND the worst part??? 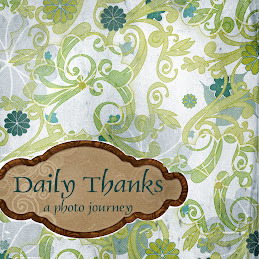 I was so stressed I forgot to take a photo for my Project 365 album. BUMMER!